As a child of the NES generation, love for platforming games is built into my DNA. From my first blunderings through Pitfall when I was barely old enough to hold a controller to besting Bowser for the first time as a grade-schooler in Super Mario World to taking my first steps into the 3D realm with Super Mario 64, it’s a genre near and dear to my heart. As the years have gone by, it’s also a genre from which I’m constantly looking for greater challenges. Fortunately, we live in a time where there is no shortage of developers who are all too happy to provide me that challenge. My most recent foray into the genre took me to the depths of Nicalis’s 1001 Spikes, a reboot of the XBLA title Aban Hawkins and the 1000 Spikes, which promised to test players with ample traps and pitfalls. Sure, it looked hard, but was it Nintendo Hard? Well, yes and no. Let’s take a closer look and see just where this game stumbled. I was promised 1,001 spikes! Bait and switch! The story of 1001 Spikes is somewhat minimalistic, though for a good reason that I’ll get to later. Players are put in the shoes of Aban Hawkins, the son of a great explorer who made his fortune pilfering treasures from the great temples of the world. Aban has a… tenuous relationship with his father because he refuses to follow in his footsteps, believing most of the world’s treasures have already been found. In retaliation, Aban’s father cuts him off completely from the family fortune, instead giving it all to his sister, Tina. Years later, Aban receives a letter from his now-missing father, challenging him to raid a temple in the jungles of South America called Ukampa. Fed up with his father’s behavior, Aban decides to take up the challenge, but only so he can take the treasures from the temple and spill them on the old man’s grave. 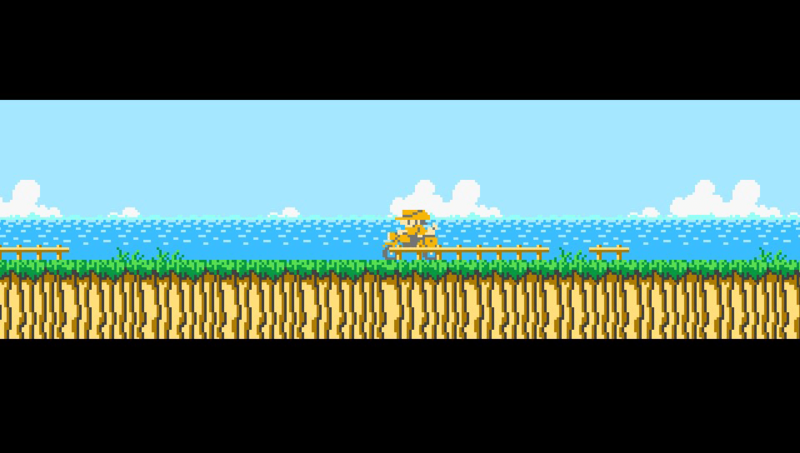 It might sound like there’s a lot going on, but this is all told in the game’s opening cutscene and, after this point, there is absolutely no story at all until you’ve completed some of the harshest, most challenging platforming you’re going to find this side of I Wanna Be The Guy. What follows are 30 levels that will do their damndest to impale, perforate, crush, poison and incinerate you. With such a hostile environment to work through, it’s a good thing that the controls are so simple. Players can move left and right, jump with the X button and perform a high jump with the Triangle button. As Aban, players also have an infinite supply of throwing daggers which can let loose with the Square button to kill enemies, destroy incoming projectiles and redirect certain objects. The object of each level is simple – find the key to open the door at the end of the stage, allowing you to advance. Most stages are fairly short – only taking a minute or two to complete… if you’re prepared. The meat of the game comes from constantly replaying the same stages over and over as the various traps take you by surprise. For the most part, you’ll only see giant scorpion enemies which can be defeated with a few hits from your knives. Bosses are incredibly rare, with the only one in the main story being a final boss at the end. Aban has no health bar, so getting hit by anything means instant death. 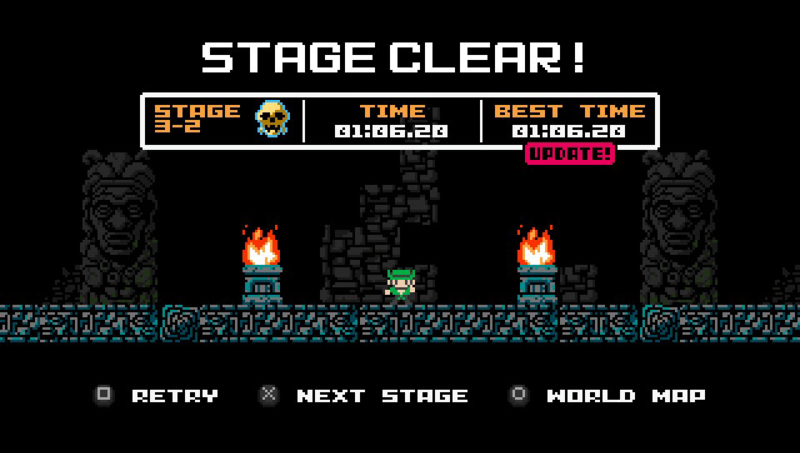 And, since there are no checkpoints throughout the stages, death means getting kicked right back to the beginning of the level to try again. Of course, you always have the option to lame it out and skip any given stage from the pause menu, but doing so will lock you out of the true ending. This is where the game’s main gimmick comes into play. 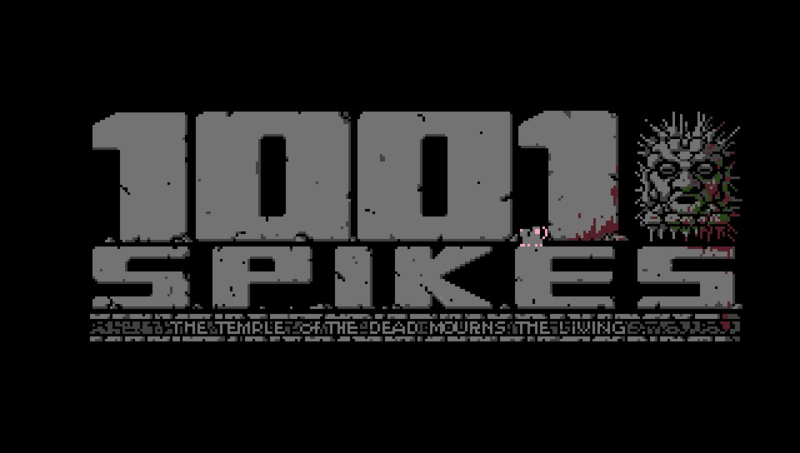 Despite the highly difficult nature of 1001 Spikes, players are only given a finite number of lives which will have to carry them from beginning to end. Something along the same vein as Prinny: Can I Really Be The Hero?, the 1,001 lives that you start with may seem generous, but you’ll start burning through them pretty quickly as you advance through more dangerous stages. Sounds pretty scary, right? Well, it isn’t. 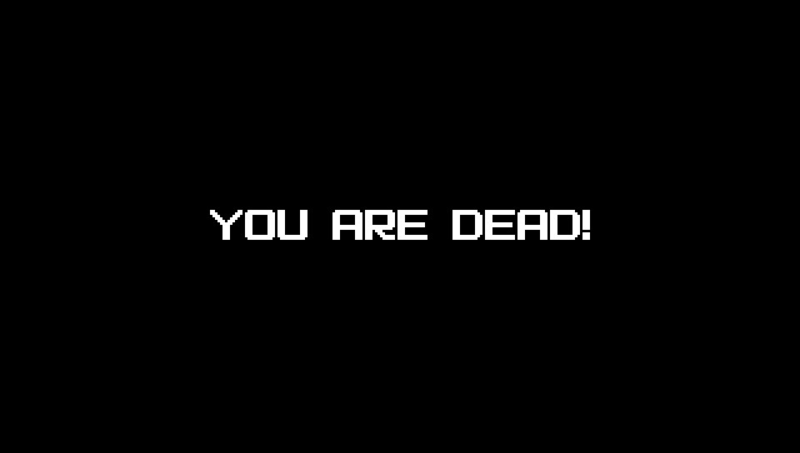 What happens when you run out of lives in most other games? Game Over? Lose all your progress? Have to restart the current world? Well, in 1001 Spikes, if you should happen to squander all the lives the game has given you, your punishment is… more lives. That’s right, in the event that you run out of lives, the game simply gives you a few more and sends you on your merry way. In this way, what is the point of having a finite number of lives at all? If the game is going to replenish your lost lives with absolutely no penalty, it may as well have dropped the façade and just given you infinite tries. I might sound like I’m being harsh, but, honestly, this is just about the only beef I had with the game. There’s a fair amount of additional content for devoted players. Each stage contains a Golden Skull which, aside from giving you an extra life (*snort*), also unlocks more game modes and characters. And, believe me, these are more than simple re-skins. Some characters, like Aban’s sister, Tina, come from the game itself, but most gained their fame from other platforming titles. These include Commander Video from the BIT.TRIP series, Curly Brace of Cave Story fame and President Thompson and Sugimoto from Tempura of the Dead to name just a few of the 10 unlockable characters. Each character, aside from having special abilities like double jumping, floating and edge grabbing, has their own separate story from Aban’s, making each experience unique, and encouraging players to traverse Ukampa numerous times to see how each character’s plot turns out. Additionally, if you grow tired of getting pulverized in the main story, there are a few arcade modes you can take a crack at – The Tower of Nannar and The Lost Levels. The Tower of Nannar is something of a side story where Aban climbs a tower to save a maiden from the clutches of a pair of nefarious villains. The Lost Levels, on the other hand, is a gauntlet of difficult stages for players to work through while collecting coins along the way. These modes are also cooperative experiences in the console releases of the game, but, unfortunately, the multiplayer feature was cut from the Vita and 3DS versions, so I was not able to try out that aspect of the gameplay. Either way, there’s tons of content to keep you playing longer after the four-hour campaign is finished. As you can already see, the retro style graphics look absolutely delightful. Aside from the wonderfully detailed environments and effects, the contrasts between the areas you travel and what goes on around you help you keep track of the action nicely. Many of the backgrounds are quite dark, making it easy to see the stark white darts as they shoot out of the walls. The music goes along with the gameplay perfectly, complementing the gameplay with some fast and adventurous music that encapsulates your perilous circumstances. 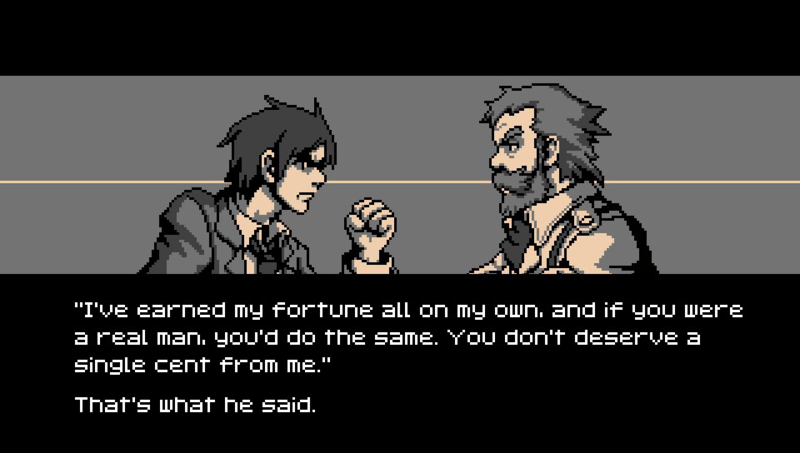 The art and music culminate beautifully in the game’s various cutscenes, showing wonderfully-drawn sprite art that helps illustrate the characters’ personalities in ways that simply aren’t possible through their in-game sprites. For as fun and (incredibly) challenging that 1001 Spikes could be at times, I felt that the novelty of the 1,001 lives ultimately fell flat. Sure, there’s an initial feeling of urgency in seeing your lives slowly whittle away, but that feeling completely disappears after you discover that the game is only messing with you. Not that this really damages the core experience of the game; just any pretense of needing to be more prudent with your actions. 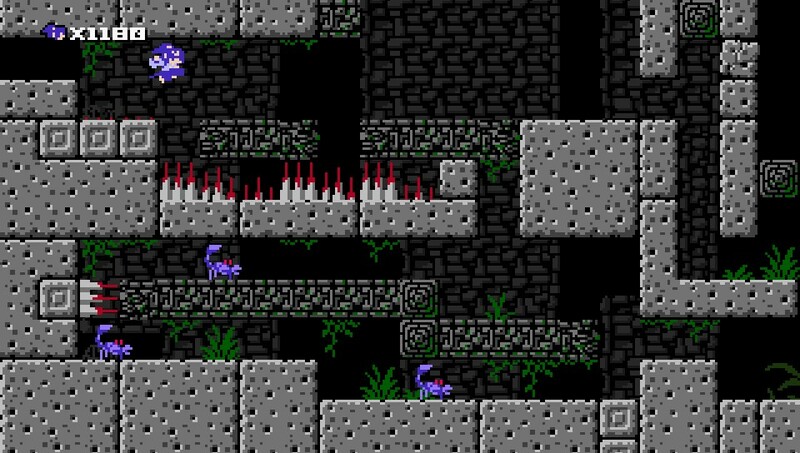 When you get right down to it, 1001 Spikes is still a crazy-hard platformer that will give even veteran players gritted teeth and white knuckles. And when the credits roll, don’t think your suffering is over quite yet. There’s one final post-game test for Aban to take on that makes Ukampa seem like a cakewalk by comparison. 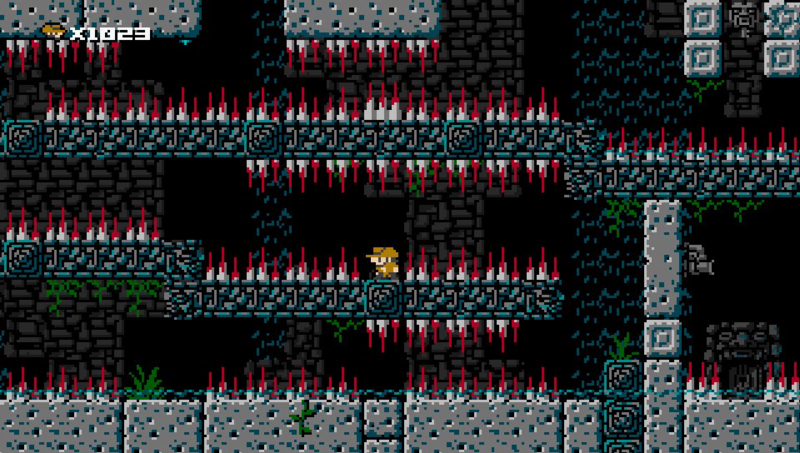 Even if there isn’t much pressure to be careful, 1001 Spikes is still likely to push you to your limits, and I, for one, appreciate that. If, like me, you’re the kind of masochist who enjoys being abused by their platforms, the $15 asking price is more than worth it. Game was provided by the author, and is based on the Vita version.